I can’t tell you how many tears of laughter I’ve shared with students while using Dr. Quinn as an example of Voicethread. He’s incredible and even after 5+ years, still brillant and new as the sun is each day. I’m really proud of being one of Voicethread’s first supporters. I saw immediately the revolutionary thing they were and cheered it on as such. Really proud too of my own Voicethreads that have acted as models for many EFL teachers. 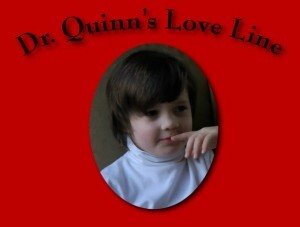 But alas, I could never, ever beat, nor could anyone Dr. Quinn. It is so real, so genuine. A gem. See my own tutorials for using/making your own Voicethreads – HERE.